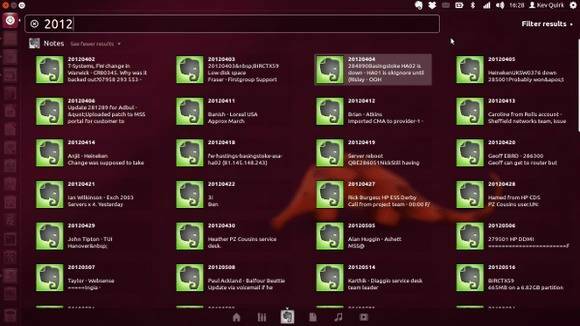 Everpad is an open-source client for the fantastic note taking tool evernote that integrates extremely well with Unity, the default Ubuntu Desktop Environment. The app support Unity Lens which allows you to search through your Evernotes, then click to open them for additional editing. From the app indicator you can create and manage all of your Evernotes from one place. NOTE: The development of Everpad has suspended for months, and there are a large mount of open issues still have no response. Everpad now has bugs, use it at your own risk! Once Ubuntu 14.04 is finally released, you’ll be able to install the evernote app via below commands. Once installed search for and run the ‘Everpad’ from the Unity Dash. You will then see the app indicator appear on your panel. Once it does, click on it and select “Settings & Management” then “Authorise” to configure Everpad with your Evernote account. That’s it! Your notes will now start to sync with Ubuntu. Enjoy! I can’t install everpad by using apt-get . but I downloaded it from the addr which you gave . Thanks . Thanks a lot; your advice helped a total newbie (installed Ubuntu just today as a Hyper-V VM). 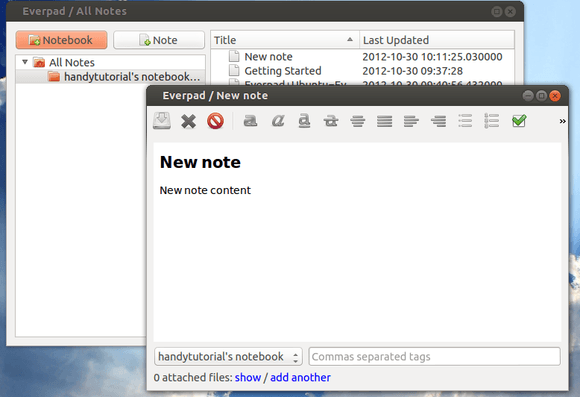 I installed everpad in ubuntu 14.04, but couldn’t create notes. Essentially, everpad Note tab doesn’t work when clicked whereas the Notebook tab does. I isntalled everpad by running the following commands. I have the same problem, any fixes? This works brilliantly for me under Desktop 64-bit Ubuntu 14.04. Thanks! I’m an embedded software engineer and I’ve been using the traditional “pen-and-paper” way of keeping track of my “TODOs” for the last few years. Only recently did I decide to go “cloud”, and so far it’s working out really well. I’m an avid Ubuntu fan, so I’m wrapped to see this great app has a working Ubuntu client. This is broken on Ubunut 14.04. App crashed instantly on me. Hi Ji, Is there any way to perform search like evernote? Or any other solution to do this? Tried installing Everpad as the instructions above (on Ubuntu 14.04 Unity) and completed the Authorization. I am able to add new NoteBook but clicking on New Note just does nothing. Tried creating from command line but get following error.